In Biomechanics we examine foot function and the effect this has on the rest of the body. By assessing your posture and analysing your gait, our therapist can see whether any misalignment in the foot is causing problems further up the body. The solution is prescription orthotics – custom made insoles. These insoles can correct any misalignment and relieve stress on the skeleton, leading to pain relief. 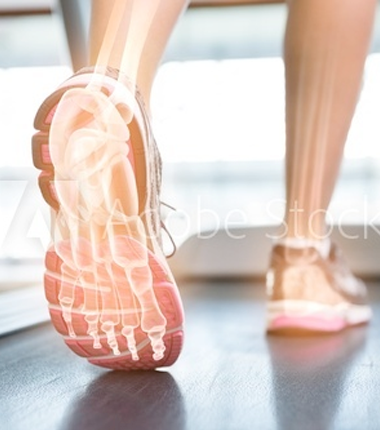 The assessment is carried out by our Health Professions Council registered podiatrist Simon Littlejohn who also supplies any orthotics required. Most people require a biomechanical assessment because they are experiencing pain in the lower part of the body. The pain could be anywhere from the feet themselves, up to the lower back or hips. For more information, or to talk to Simon, contact us at the clinic and we’ll be pleased to help.